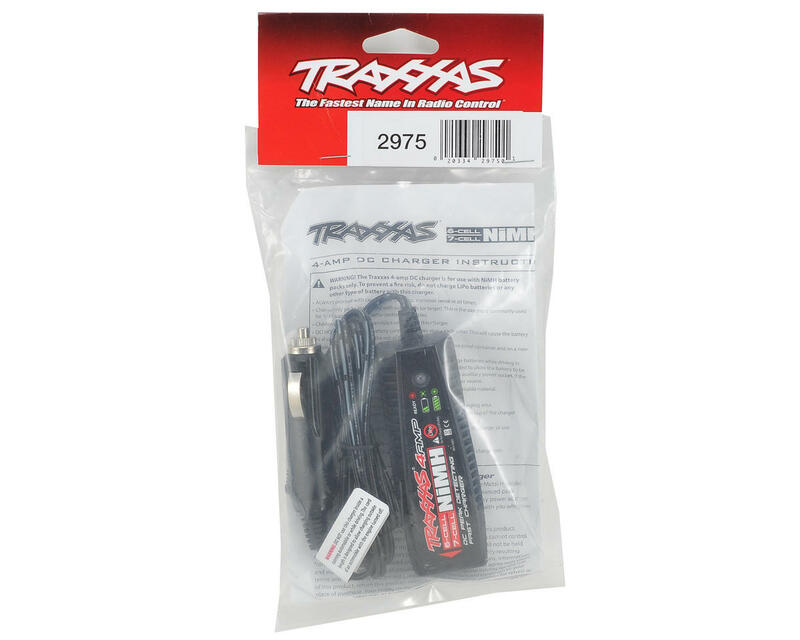 This is a Traxxas 4-Amp NiMH DC Peak Charger. 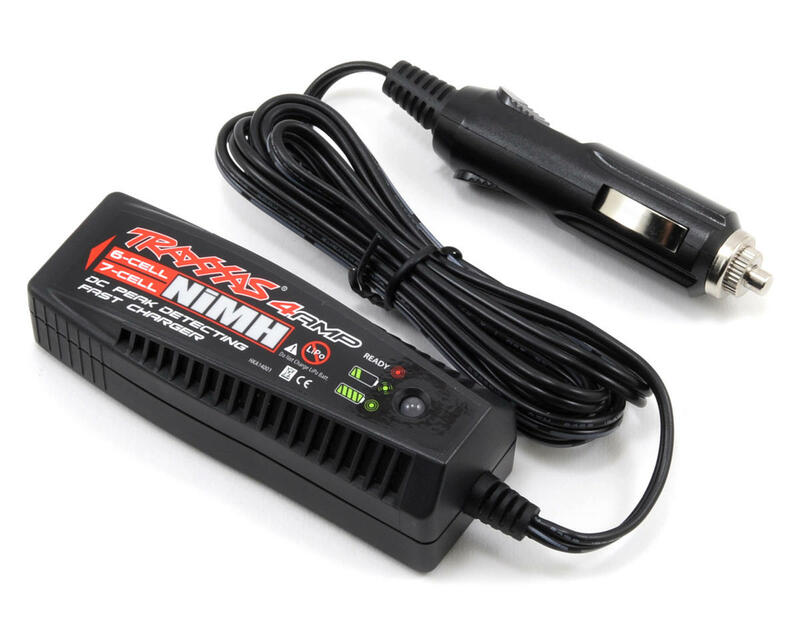 This 4 Amp DC charger is perfect for charging your Traxxas iD connector equipped 7.2-8.4V NiMH packs (6 or 7 cell), using the 12V connection in your car. An AC/DC power supply (TRA2976) is available that will allow you to charge your battery from a 110V outlet.